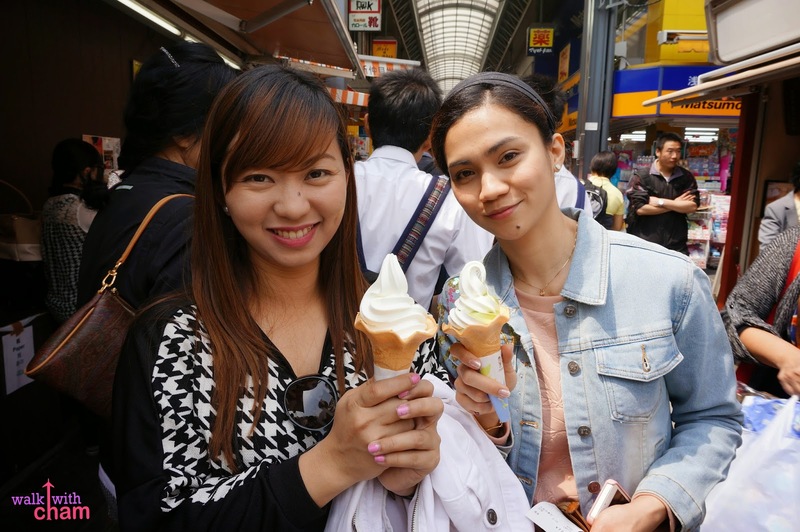 When we got to Tokyo, one of our agendas was to meet my high school friend, Lalaine (we call each other Twin) who is based in Tokyo. 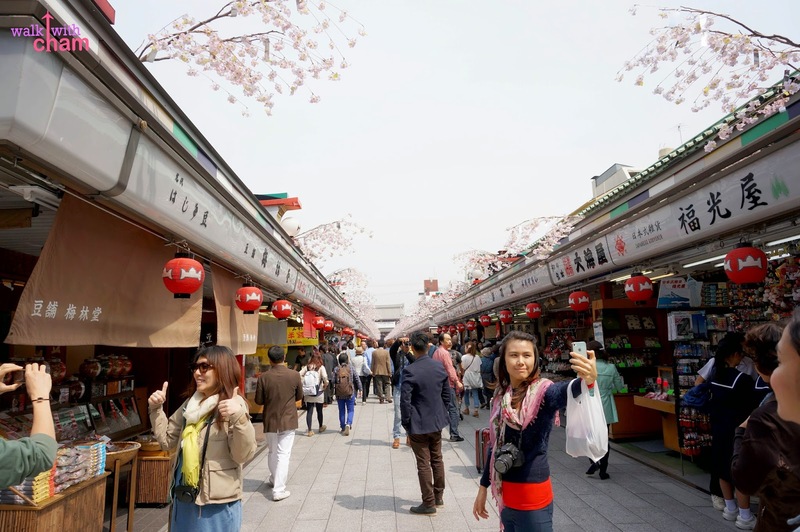 ChaMike spent the whole day with Twin walking along the famous districts in Tokyo and our first stop was Asakusa. Asakusa is a district in Tokyo that has an old Japan atmosphere. 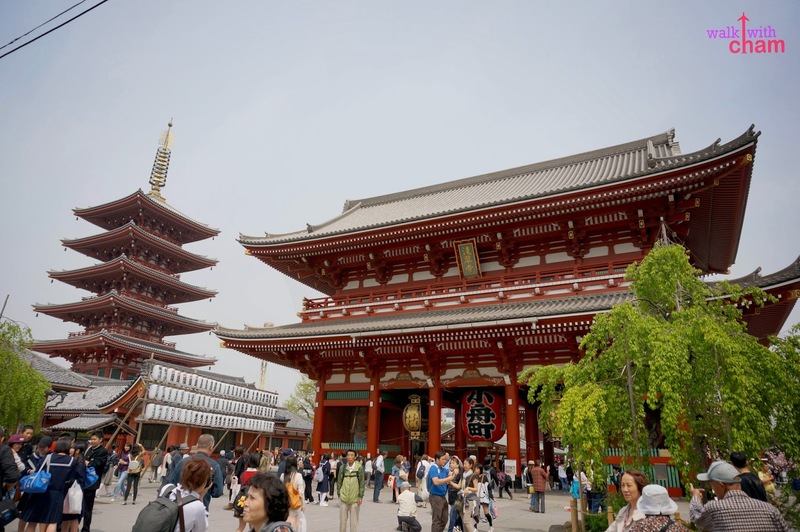 It is famous for the Buddhist temple called Sensoji Temple. 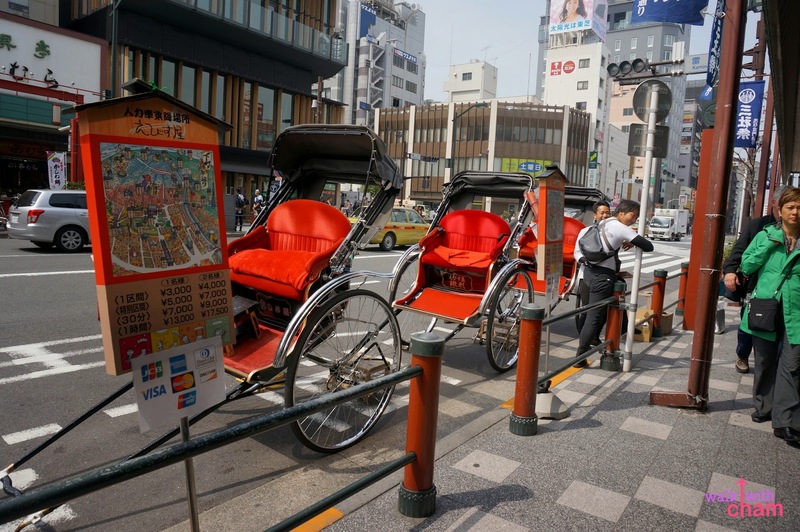 Asakusa also offers rickshaw guided tour for Y8,000 (P3,450) for 2 persons in 30 minutes. Options for a longer and shorter tours are also available. 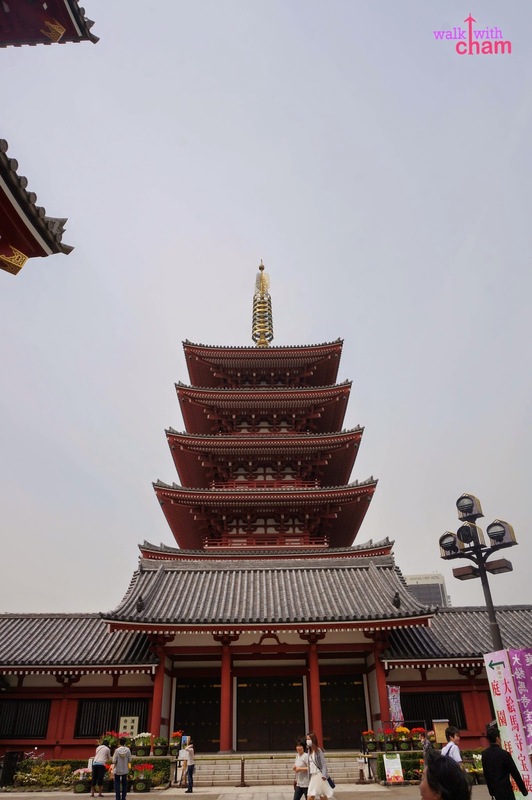 Sensoji Temple is a Buddhist temple built in the 7th century. Tourists visit this place to worship, shop, eat or just look at the temple and watch worshipers pray. 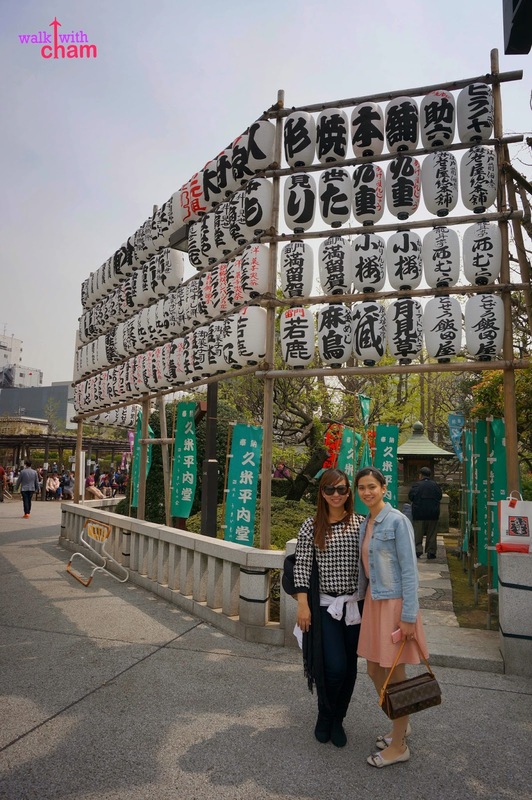 While going to the Sensoji Temple we were greeted by several attractions along the way. 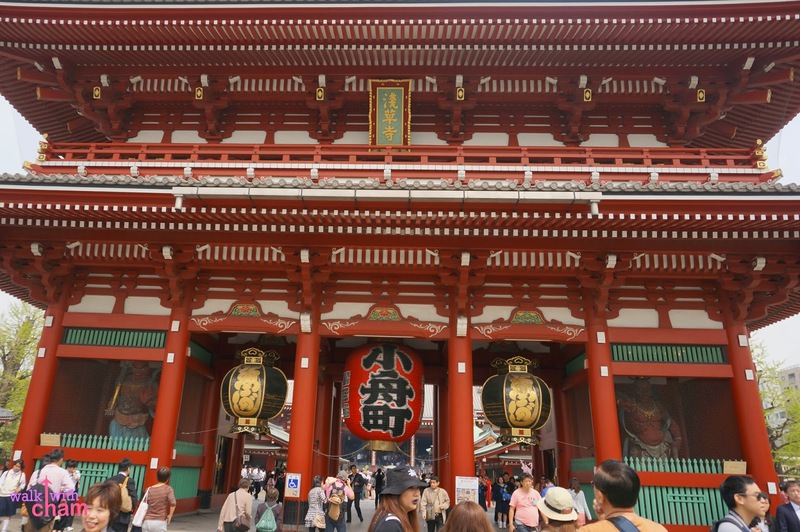 Kaminarimon is the outer large gate before going to the Sensoji Temple. It is famous for its enormous red latern. 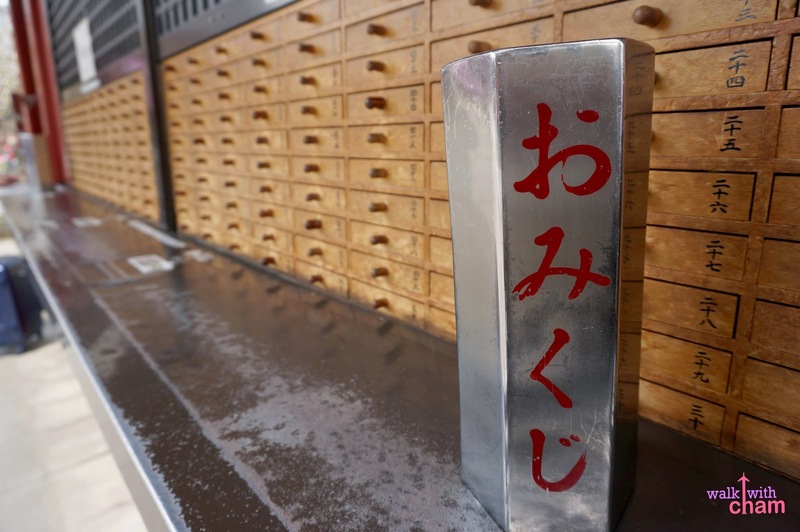 After Kaminarimon you will see a strip of shopping area called Nakamise Shopping Street. 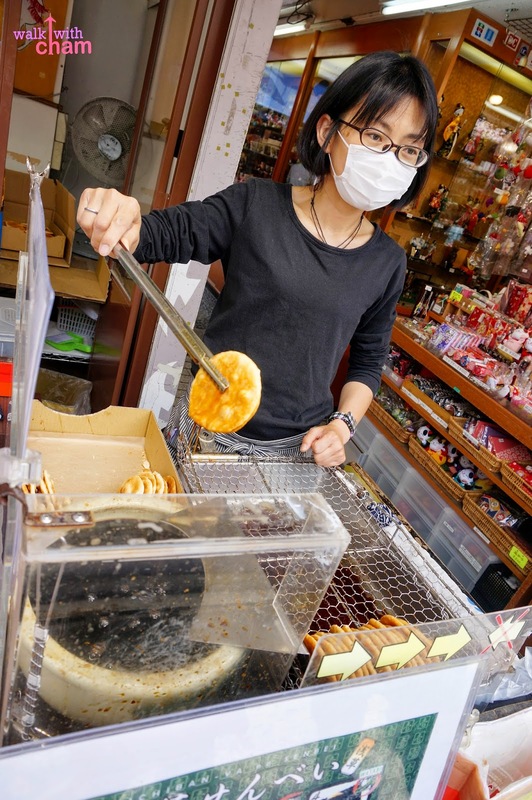 Nakamise Shopping Street is a strip of shops that sells different items like local specialties, local snacks & souvenirs. 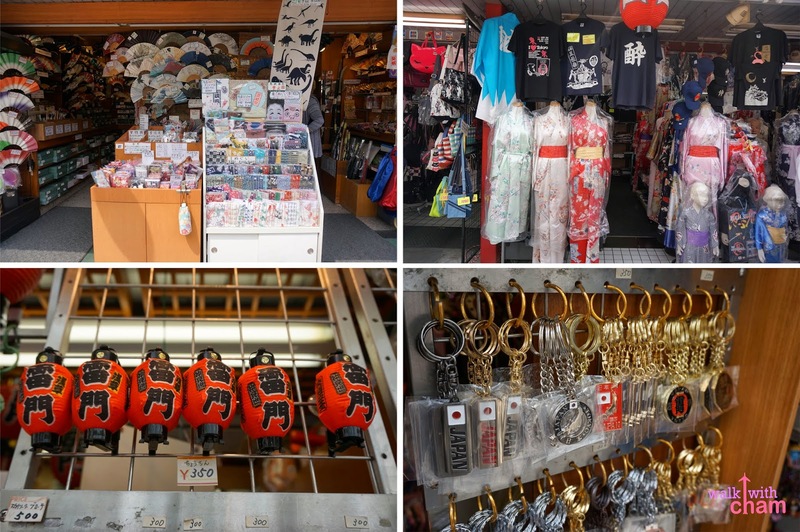 This is a perfect place for those people who are looking for Japanese themed items such as Yukata, Kimono, Japanese Umbrellas, Japanese Folding Fans, Japanese Slippers, Japanese Lanterns and all sorts of Japanese trinkets. 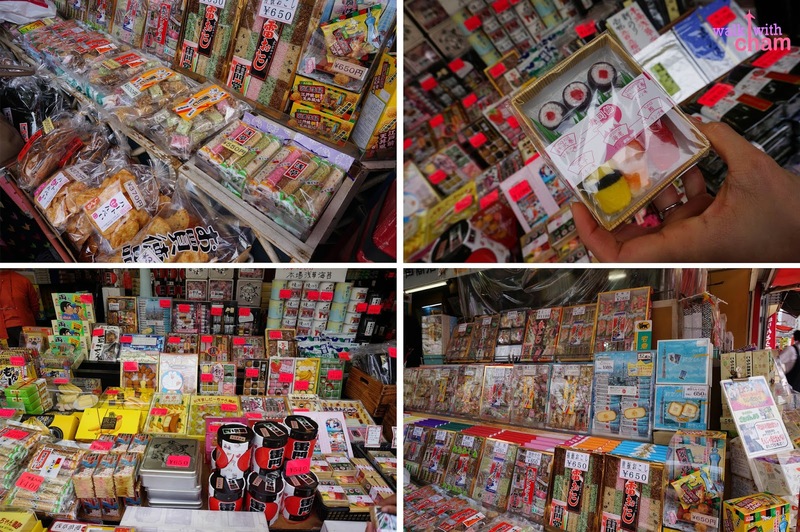 It is also an ideal venue to buy unique Japanese snacks that you can take home and give as pasalubong. 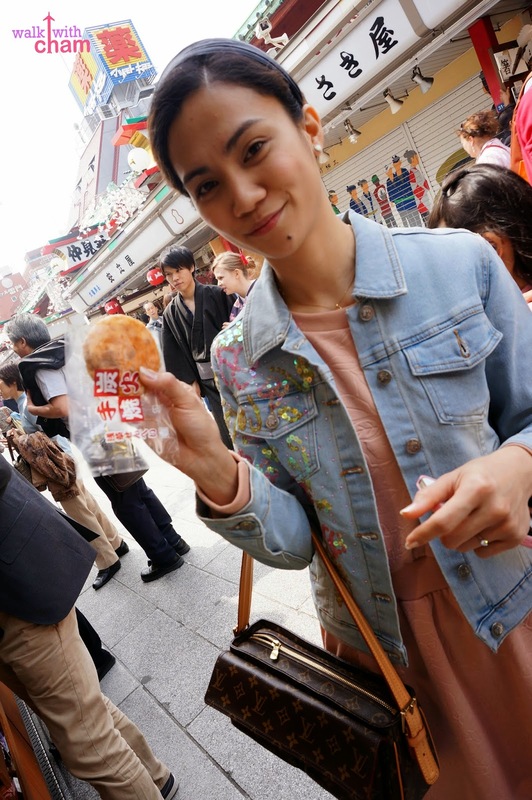 We didn't buy any pasalubong but Twin treated us to a light snack that is famous in Japan called Senbei or rice crackers. You can choose from plain Y50 (P22), with soy sauce Y 70 (P30) or with nori Y100 (P44). Twin also insisted on trying the Japanese ice cream. 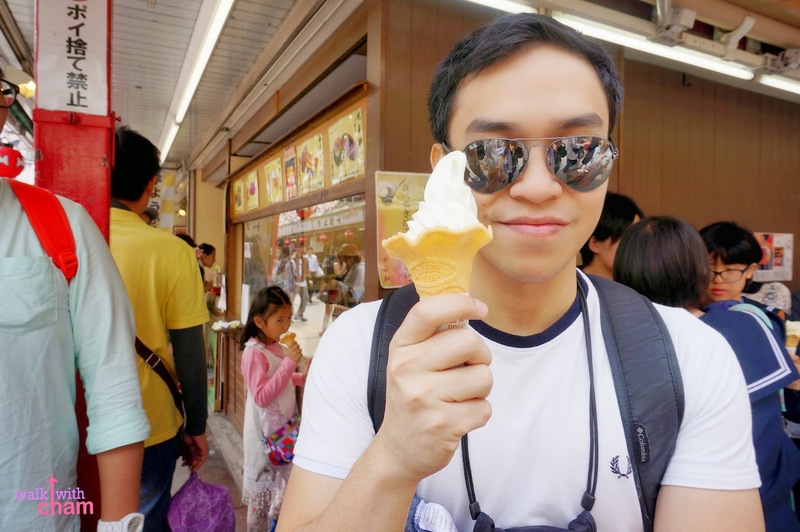 Mike and I wanted to try it in Kyoto but couldn't believe how expensive it was, it costs Y350 (P150) which is quite pricey compared to the ice creams in the Philippines plus it was so cold in Kyoto we couldn't bear eating something as equally cold. 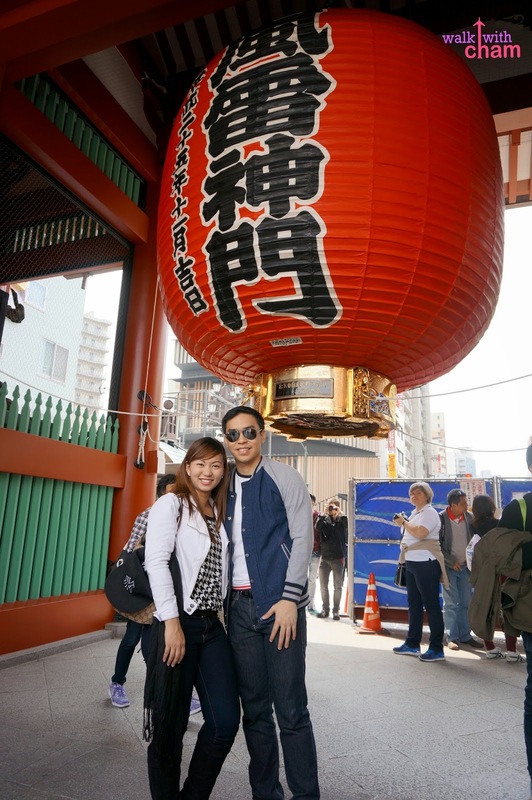 But it was the perfect time to try in Asakusa because the weather was fair and Twin insisted on paying for it- hehehe. After the heavenly Japanese ice cream experience we proceeded on walking towards the temple and we were again greeted by another gate called Hozomon Gate. After passing through the gate, we then saw the Sensoji Temple. 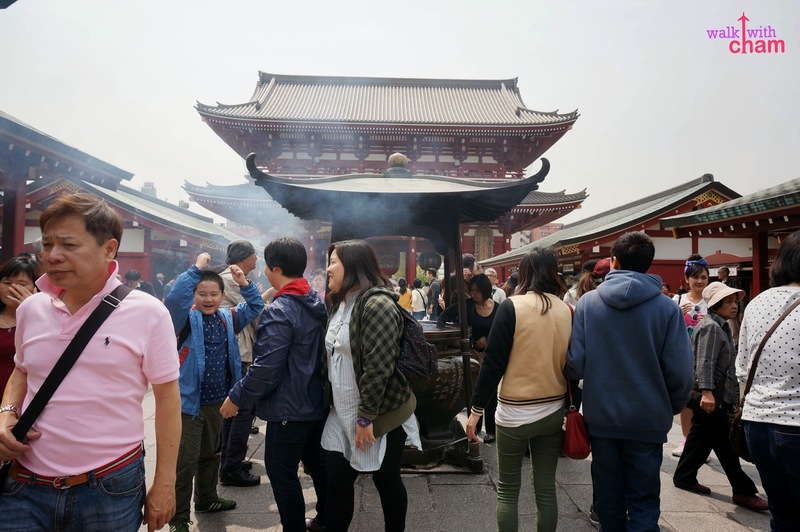 Sensoji Temple is the most popular Buddhist temple in Tokyo, it also is the oldest although the current structure has been renovated because its original structure was ruined during World War II. The temple also has a 5-storey Pagoda located on the side. We also saw these group of white lanterns of different writings. Twin said that each lantern was donated by Japanese businessman which is believed to bring good luck to their business. Same tradition as what the locals do in Fushimi Inari Shrine. 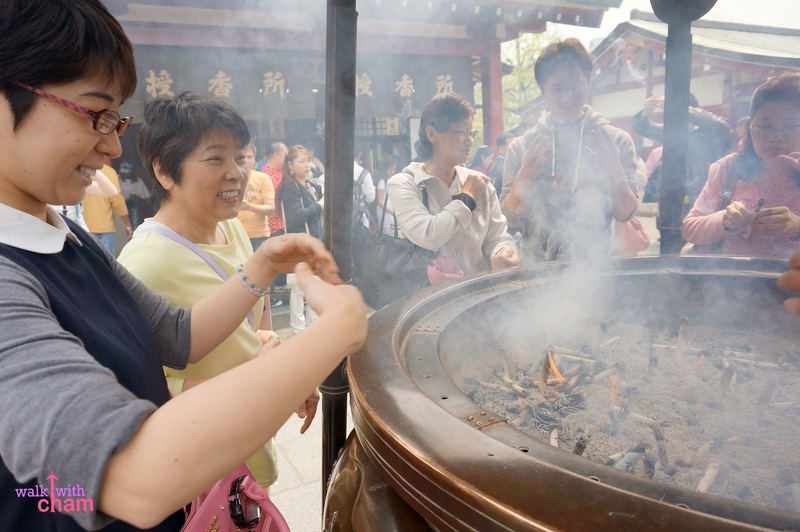 The Sensoji Temple also has an incense altar which is believed to give good health when wafting the incense fumes to the body. Get one stick from the hole of the metal container. 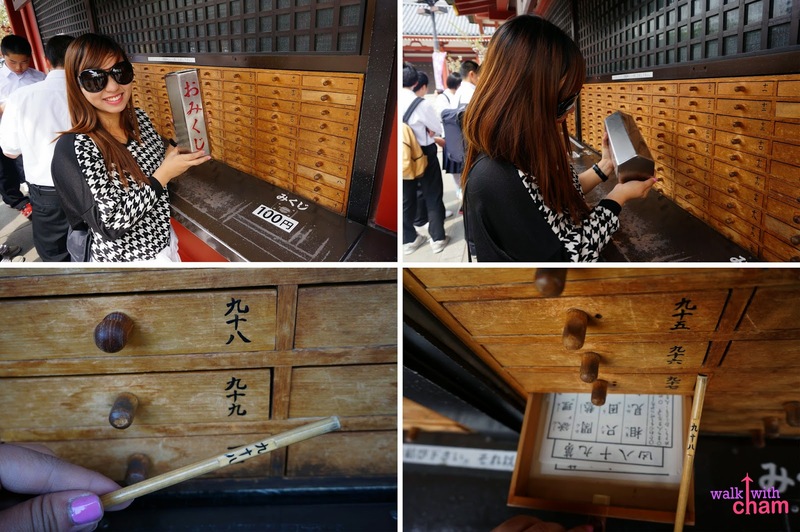 Each stick has a number in Japanese character written on it, from the number of your chosen stick look for the similar number from the layers of mini drawers. Get a piece of paper from the drawer and read your fortune. And guess what? My paper said BAD FORTUNE!!! Oh well, I am not really the type of person who believes in these things so it wasn't a big deal for me. 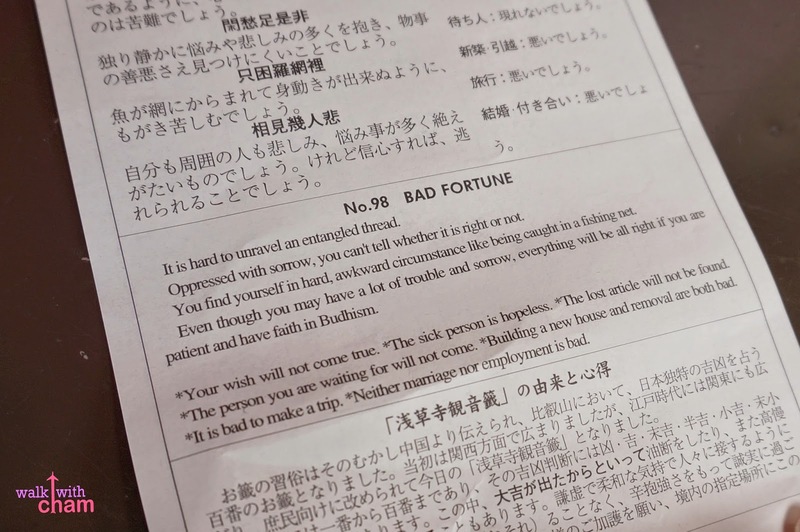 But then again, I got a little paranoid as the fortune paper was kinda mean and scary especially on the part 'It is bad to make a trip' because I was on a TRIP? !- waaaaah!!! 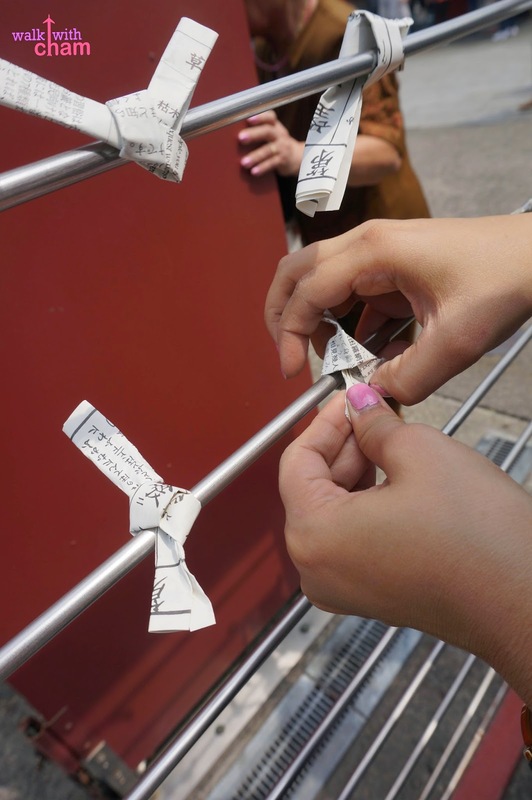 But calm down, Cham, Twin said that the bad fortune can be changed or altered into a good one by folding the paper and knotting it on a metal rod near the kiosk. That was a relief! 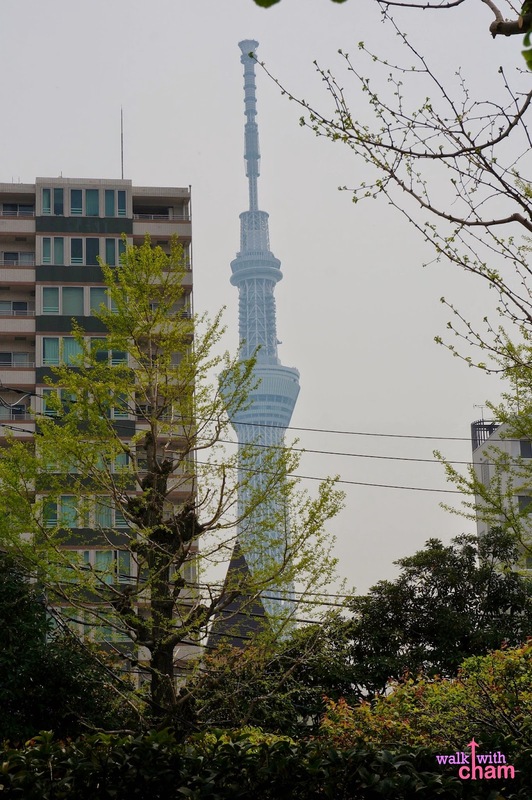 From the area you can see another tourist spot, the Tokyo Skytree, a broadcasting, restaurant and an observation deck. We didn't get to go up but I would really love to do it if ever I will be given the opportunity soon. 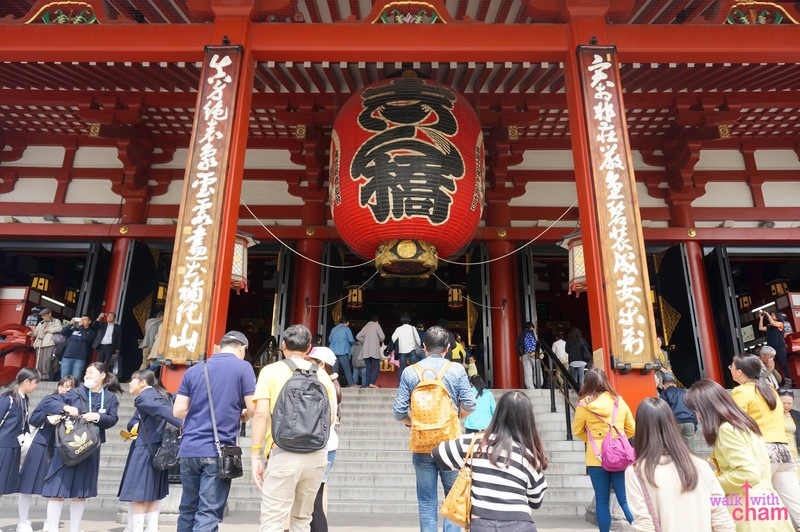 Asakusa is a nice place to visit especially if you are looking for Japanese souvenirs and if you want to learn more on how the Japanese worship. Take the JR Yamanote Line to Kanda Station (2 minutes, Y 140) and transfer to the Ginza Subway Line for Asakusa (10 minutes, Y 170). Take the orange JR Chuo Line to Kanda Station (10 minutes, Y 170 ) and transfer to the Ginza Subway Line for Asakusa (10 minutes, Y170).